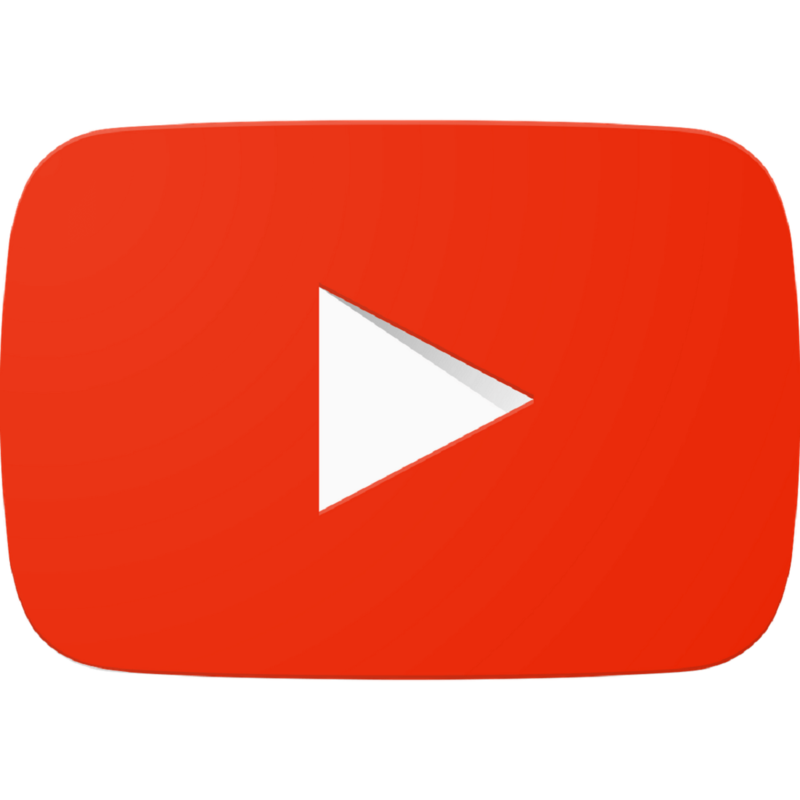 Most people use YouTube on a daily basis, but sometimes issues with YouTube can occur. 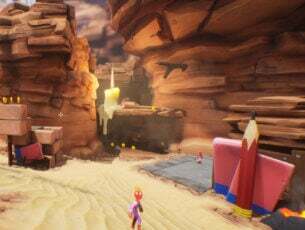 For instance, many users report that YouTube videos pause at the start on Windows 10. This is an annoying problem, but you can fix it by using one of our solutions. YouTube videos pause on start on Windows 10, how to fix it? YouTube can be demanding in terms of bandwidth, especially if you want to watch a high-definition video. If YouTube videos pause at the start, it’s most likely because YouTube is automatically adjusting the quality based on bandwidth. If you share your network connection with others, you might experience this problem. 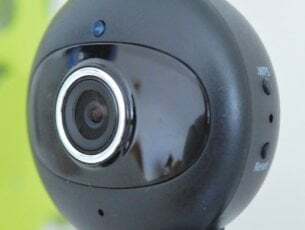 For example, if your roommate is watching videos online or playing video games, they might be using most of your bandwidth and causing this problem. Fixing this problem isn’t simple, but you can try limiting bandwidth usage using your router. Some routers support a Quality of Service feature that allows you to easily configure your bandwidth consumption. In addition, you might want to try using bandwidth limiter tools for the same effect. According to users, sometimes you can fix this problem simply by restarting your PC. If YouTube videos pause at the start, it could be caused by your network configuration or by another network-related problem. If that’s the case, you can easily fix these network issues with a restart. This is probably a temporary solution, but be sure to try it anyway. Sometimes, these types of problems are caused by software such as your browser using too many resources. If you’re having this problem, try switching to a different browser and check if the issue persists. If the problem doesn’t appear in other browsers, it means the issue is related to your browser. To fix the problem, you might want to update your browser to its latest version and check if that solves the issue. If that doesn’t help, you’ll have to check your browser settings and find out on your own what is causing this problem to appear. 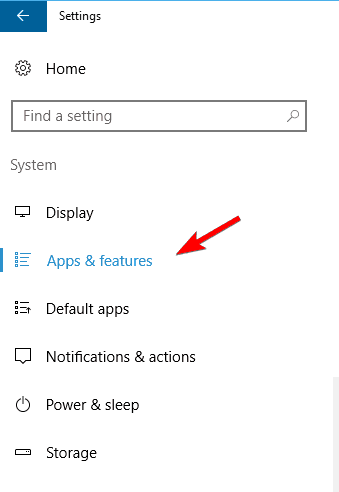 Navigate to the Apps & features in the left pane. Locate Adobe Flash on the list on the left and choose Uninstall from the menu. After removing Flash, check if the problem with YouTube is resolved. 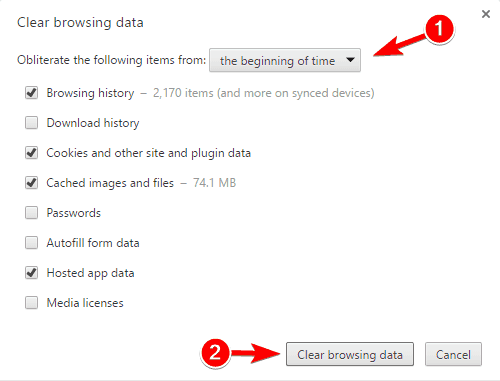 Go to the Privacy section and click on Clear browsing data button. Now, select the beginning of time in the Obliterate the following items from the menu. Check Browsing history, Cookies, and other site and plugin data, Cached images and files and Hosted app data. 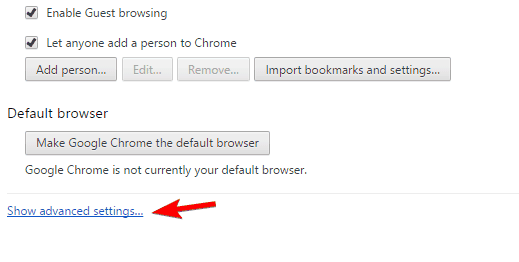 Now click the Clear browsing data button. After the cache is removed, restart your browser and check if the problem is resolved. 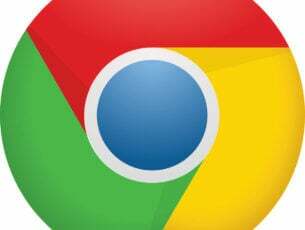 This solution applies to Google Chrome, but you can clear cache on any browser by using similar steps. 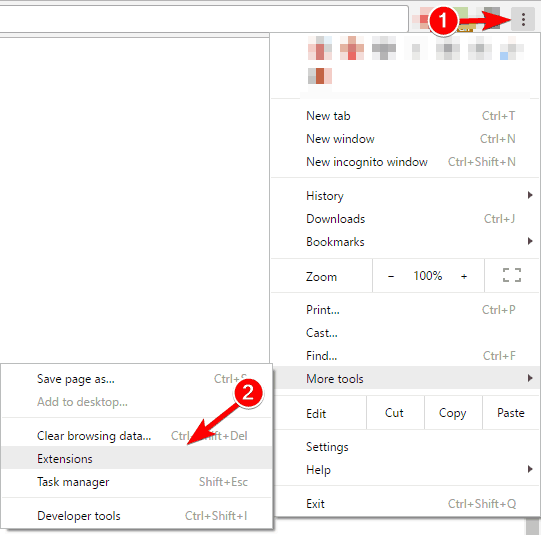 Press the Menu button and choose More tools > Extensions from the menu. Locate Adblock Plus and click on Options. 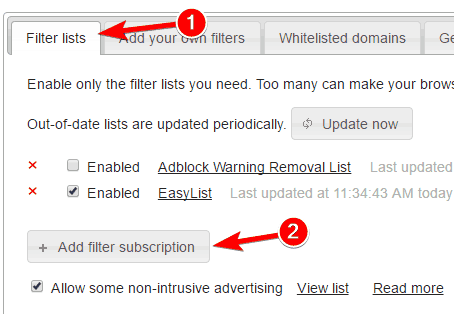 Go to the Filter lists tab and click on Add filter subscription. Select EasyList (English) and click Add. If you’re using other languages be sure to add them as well. After doing that, restart your browser and save changes. Some users also suggest disabling EasyList, updating it, and enabling it again. This is rather simple and you just need to open AdBlock Plus options as in the steps above. After doing so, uncheck the Enabled check box next to EasyList. 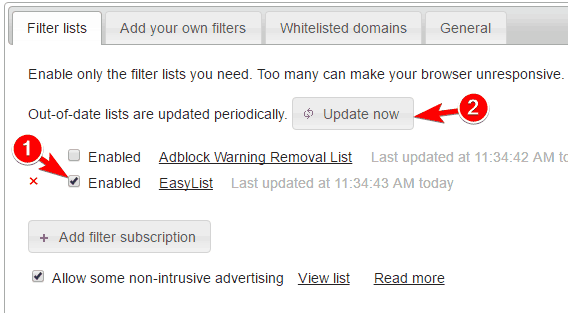 Click the Update now button and wait for EasyList to update. Enable EasyList again and check if the problem is resolved. Go to the Extensions tab. To see how to, check the previous solution. Now, locate Adblock Plus on the list. 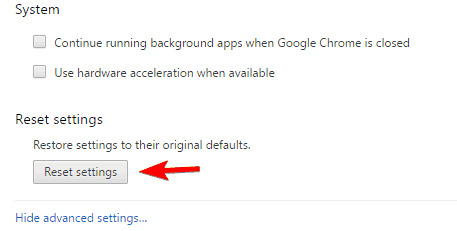 Look for Enabled checkbox next to it and uncheck it. Go to YouTube and check if the problem is resolved. If so, enable Adblock Plus again by following the same steps. Check if the issue appears again. If the problem appears only when using Adblock Plus, you might have to disable it permanently. In addition, be sure to update Adblock Plus to its latest version and check if that fixes the problem. Alternatively, you can try using a different extension for ad blocking. 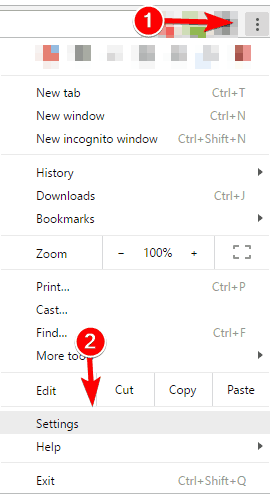 Click the Show advanced settings and scroll all the way down. Click on the Reset settings button. When the confirmation message appears, click on Reset. After doing that, check if the YouTube problem is resolved. Open the Settings tab. Click on Show advanced settings. Restart your browser and check if the problem is resolved. 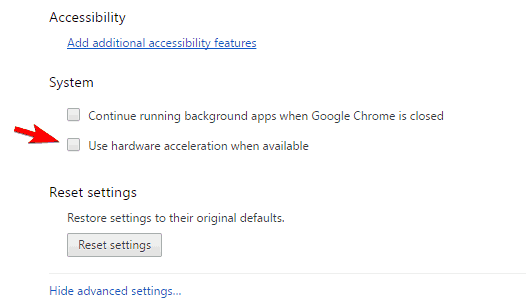 All modern browsers have support for hardware acceleration, so be sure to disable this feature and check if that solves the issue. If this problem appears on all your devices and browsers, it’s possible there’s a server-side issue. If that’s the case, you’ll have to wait for YouTube to fix the issue on their side. YouTube is an amazing video hosting website, but you can experience certain issues with it from time to time. If YouTube videos pause at the start, we strongly recommend that you try some of our solutions above and let us know how they worked out for you in the comments below!